When tax refunds and warmer temperatures converge, the possibilities are endless. 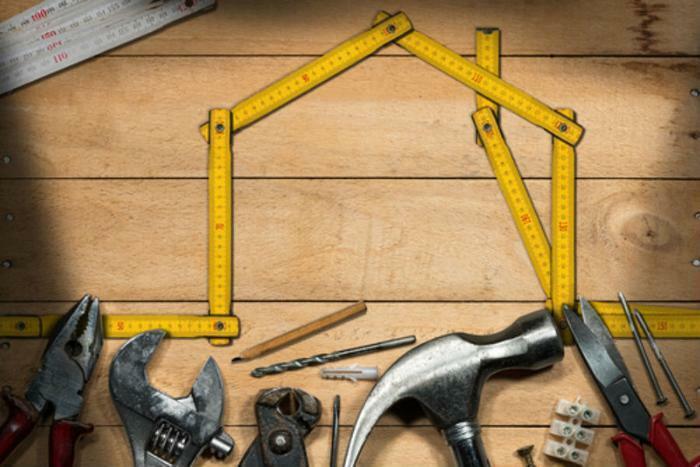 With a little extra money, consumers can tackle a range of home improvement projects. In its blog, real estate marketplace Trulia notes that many home projects can be accomplished for under $1,000. From sprucing up your home’s exterior to updating key elements of the home’s interior, here are a few projects that don’t come with an especially high price tag. Consumers can use their tax refund check to improve their home’s existing ceilings. If your popcorn ceilings are an eyesore, consider hiring a professional to scrape them smooth. To further enhance the look of your room, look for DIY projects like installing crown molding or box beams or adding a coat of fresh paint. Beyond looking lovely, homes with curb appeal may be worth more. Adding a new front door adds nearly 97% of the amount you spent to the value of your home, according to Remodeling magazine. Adding a new mailbox, some flower boxes, new house numbers, outdoor lighting, and shrubs can also boost your home’s appeal, says Trulia. For another simple, cost effective improvement, repaint the trim around windows and other features. “The top of the baseboard where the molding meets the wall gets really dirty over time,” Sarah Roussos-Karakaian, co-owner of Nestrs, a construction, design, and organizing company, told Trulia. But caulking and giving your baseboards a fresh coat of paint can bring your walls back to life, she says. Do-it-yourselfers are likely to spend less on this project, since contractors and painters usually charge between $2.50 to $6 per linear foot depending on the size of the baseboards. While it may not add instant aesthetic appeal like some of the aforementioned projects, using your tax refund to upgrade from a standard water heater to a tankless model (which heats the water only as needed) will save energy and money. Area rugs add comfort while bringing all the elements of a room together. Best of all, purchasing a new one won't take a huge bite out of your tax refund. However, it's important to choose a rug that's the right size. Rugs that are too small may cost slightly less, but they won't do any favors for your space. To keep your room from looking out of scale, be sure to choose an appropriately sized rug. In smaller rooms, the outer edges of the rug should be around 6 inches from each wall. In larger rooms, the outer edges can be up to 18 inches from the walls.